Since 1976 Rockport Monument Company has been serving South Texas families with their personal memorials. As a full-service, family owned business, we are proud of our personalized service and quality memorials. We offer the largest selection of monuments, unique designs and computerized graphics in the Coastal Bend. As with many other things we purchase, keep in mind the features of quality, appearance, service and overall value in your consideration. There is a Rockport Monument Company memorial to fit every budget. 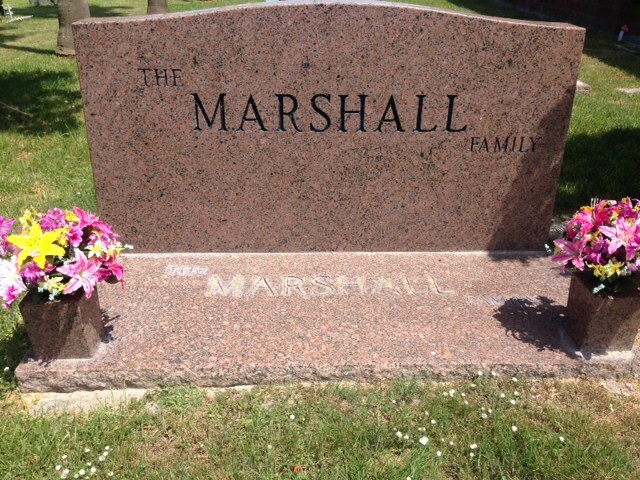 Whether a small marker or a large family monument, we offer the lowest prices possible and the best value available anywhere. As a family owned business, we give each buyer the personal attention they need and deserve. We at Rockport Monument Company are proud of our reputation and we ask only for the opportunity to show you there is a difference. Our commitment to the finest workmanship and detail to every monument sold is unrivaled. Rockport Monument Company guarantees to replace (free of charge to the buyer) any memorial found to be defective through workmanship or material. We have the largest memorial display in all of the Coastal Bend. With over 100 different sizes, shapes, colors and prices, we have the perfect memorial for you and your family to choose from. Rockport Monument Company is a proud member of the Monument Builders of North America, and the Monument Builders of the Southwest These are professional trade associations of memorialists dedicated to the highest standards of quality, craftsmanship, and professionalism.